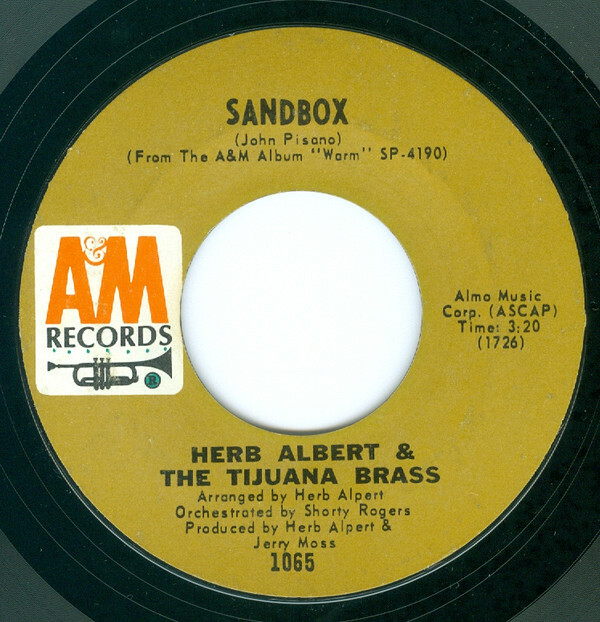 Discussion in 'The Beat of The Brass: Herb Alpert/Tijuana Brass' started by Steve Sidoruk, Sep 9, 2015. From what I understand, Herb himself didn't have the actual artwork for these albums and had to get help from others to scan old LPs and then remove the A&M markings. Universal probably hasn't a clue where the old artwork is. I doubt if the copyright on the image is out of date, but they are probably held by A&M and as such Universal doesn't care. Many times the copyright is held by the photographer and licensed to the label for use on the cover, if not purchased outright by the label. Hi Tall Paul- We own all of the rights to all of the artwork, images, etc in relation to all of the albums, singles, etc. That settles it. If it doesn't have "Music To Watch Girls Go By" on it, I'm not buying. I do hope something can be done about these pirated recordings. What bothers me more is that all of the big retailers and streaming services sell a lot of these pirated items. Needs to stop. Hi Rudy- Nothing we can do as this is the story of the Internet in regards to music, movies, artwork, posters, shoes, t shirts, jeans and just about anything. We take down things from EBAY, Amazon, etc and 3 more pop up. Most are from locations over-seas. It is what it is..
Definitely. I think what upsets me the most is that uneducated buyers are sending their money to these "pirates" (even if it happens to be semi-legal in other countries) rather than purchasing the genuine product. And it infects the streaming services as well, so it is not even physical product alone that is being affected. One thing that has not been mentioned here, these out of copyright reissues still pay all publishing royalties to the songwriters and publishers, so it's not a total free ride. It's just in most countries of the world audio recordings have a 50 year copyright limit, which allows may overseas labels to issue material that is not considered commercially viable in this country. The quality, admittedly, varies considerably depending on the source material. Considering most of the original TJB albums have running times of about 30 minutes, put me in the group that wishes Herb would add as bonus tracks the original hit singles to each album. Hi Tall Paul- You are correct about the 50 year copyright limit in some foreign countries. Most of these other TJB albums are 90%+ are out and out low quality cheap bootlegs that pay absolutely NO ROYALTIES TO ANYONE. I already have bootlegs popping up in Europe and Asia for Music Volume 1. The new Christmas Wish album will be heavily bootlegged upon release. Also, unfortunately, I am not in favor of bonus tracks. I want Herbs' albums released just as he and Jerry intended them to be released. I am a fan of the Beatles and appreciate that their original UK & USA albums have been re-released as they originally released them. I also like that they have other compilation albums that have out-takes, alternate recordings, etc. I may also be releasing original mono album mixes for some of the 60s TJB albums. Hope you had a good summer! DeeInKY, Bobberman and Rudy like this. And these copyrights might be out of date anyway. Hi Harry- We own the copyright to all of the artwork 100%. As far as original artwork paste-ups and separations we do have some but they were all originally designed for 12" LPs, cassettes and 8 tracks. Many of our catalog releases were never designed for CDs so every single CD had to be re-designed and re-created. Shout Factory had to do the same thing with their releases. Frankly, I did not have the time nor the sanity to go through thousands and thousands of A&M boxes and folders of artwork within the 4 huge Universal storage facilities. When A&M was sold it was before digital achieving. I have since digitized everything. Yes, including all of the TJB Specials..
@badazz, many thanks for the clarifications here! Excellent So now that we have official word that you have Absolutely Everything present and accounted for Then There should be no further wondering or questioning about anything as I mentioned elsewhere Randy's word is The Official word. So we can safely trust that He has everything taken care of . Some of these pirates are busy, busy bees. Like the bootleg cassette producers that used to infiltrate the flea markets. Stomp out one and another pops up - like Whack-a-mole! Hi Rudy- I have not been by the AMCorner site in awhile as I have been pretty slammed trying to get out these 2 new albums. I know that there is often some mis-information and conjecture that perhaps I can clear up. I am very much focused on helping Herb put out his new recordings as well as releasing older things that people want to hear. I have been reading through many of these threads and have an idea what long time fans are looking for and am taking in depth notes! Hope that you are having a good holiday! Hi Dee- I wish this could be as simple as cassettes in local flea markets but this is worldwide piracy on dozens and dozens of sites reaching millions of people. Though I am not happy that the songwriters that wrote these songs in the 40s, 50s, 60s, 70s and who depend on this income now that they are in their 60s, 70s, 80s+ are not receiving their royalties, I am also very, very upset that people are innocently buying horrible sounding bootleg recordings of Herb's music. We spent many years in preparing the original master tapes and re-mastering to achieve the very best sound that we could (for the reissues) and then someone is sending in their money thinking that they are getting real high quality music. It just is what it is. Hope you are having a good holiday! Hi Bobberman- I am not sure that I have "everything taken care of" but we are trying our best to release new music while re-releasing Herb's huge amount of older recordings. I hope that you are having a good holiday! Herb's back catalog is prolific indeed, and it appears he's shown no signs of slowing down recently! I stand corrected but at least I know you have have been and are still working very hard to do what you're doing and it shows in the finished products and as i said before " I am Very Satisfied with what I have so far"! It's indeed sad that people are getting ripped off. The reissues are great - really takes me back to those times and places. I also love the new material. Herb is sounding so beautiful right now that it makes it doubly bad for those who are not getting the "real" product. I got a notice from Google about a new Herb Alpert album just released today! Naturally, I sought information about it as I chowed down at lunch. The album in question seems to be called ROOFTOP STORYS [sic]. This one is from Quimbaya Entretenimiento S.A.S. I'd go for this, but I don't collect anything by the artist named Herp Albert. It's amazing they could spell "Tijuana" correctly! Herp Albert & Teh Tajuina Barss" would have been a better fit. 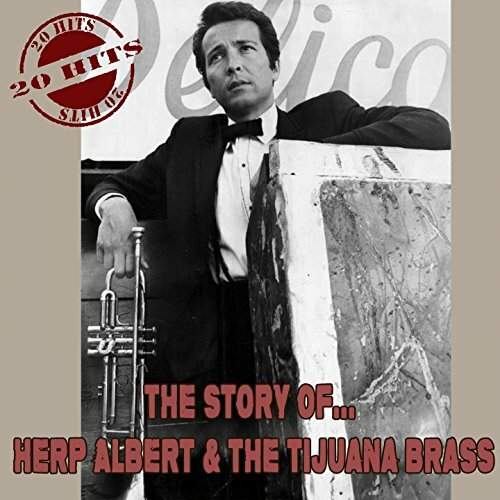 I got a notice from Google about a new Herb Alpert album just released today! DAN BOLTON and DeeInKY like this. Of course Universal are not blameless either. 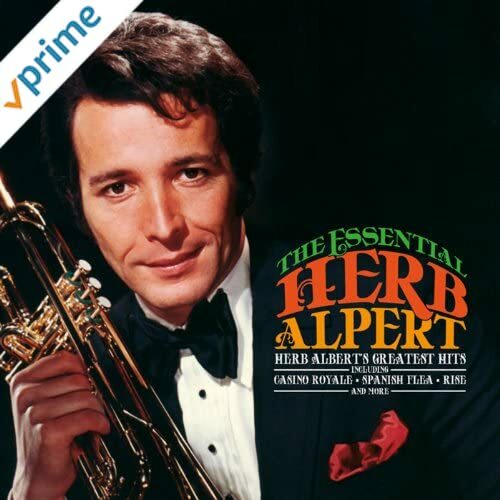 I'm guessing that the b-side of "Without Her", "Sandbox" may have beaten GREATEST HITS to the misspelling of Mr. Alpert's name with an erroneous "b".